This product allows you to input a music device (iPod, MP3 player, CD player, Garmin with XM radio, etc.) directly into your Helicopter or Military (single plug) headset or helmet. This will allow music to be heard only through the individual headset it is connected to rather than through the entire intercom system. This product allows you to input a music device (iPod, MP3 player, CD player, Garmin with XM radio, etc.) directly into your Helicopter or Military (single plug) headset or Helmet. 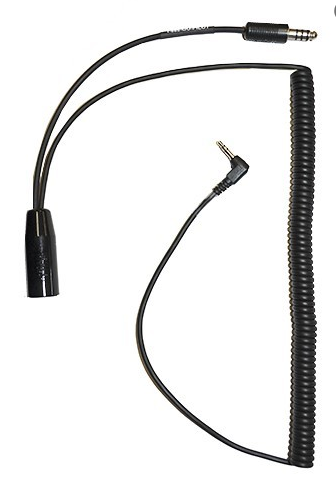 This will allow music to be heard only through the individual headset it is connected to rather than through the entire intercom system.